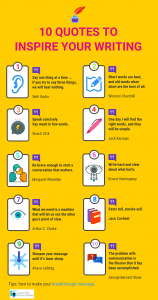 I find inspiration in these 10 quotes about writing from great writers. For decades, I’ve been collecting quotes about writing. Call it an obsession, furthered by the Notes app. 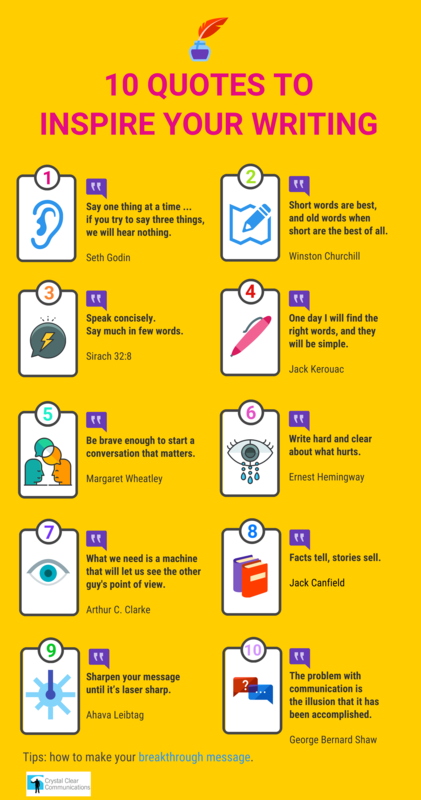 From all of these, I selected my top 10 favorite quotes. These quotes can help you save time, avoid grief and keep your writer’s perspective intact. They encourage us writers to write with focus, simplicity, relevance and empathy — essential ingredients in all kinds of writing. For more ways to inspire your writing, subscribe to our blog.